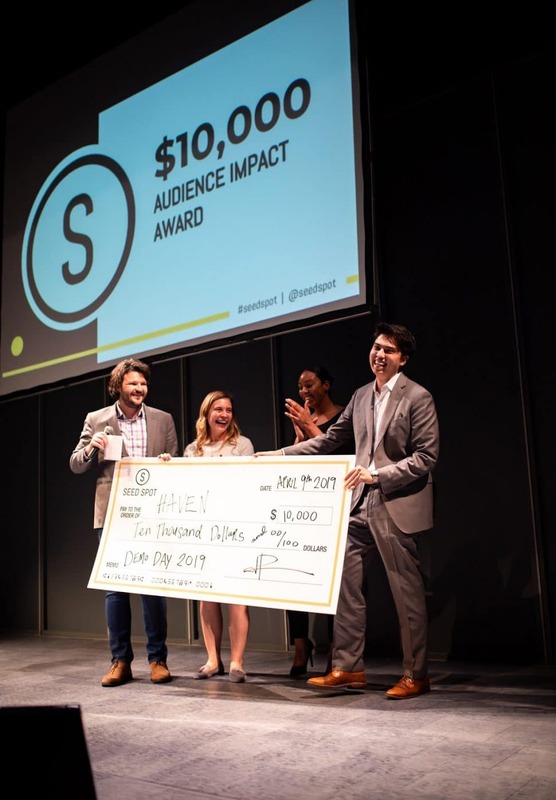 On Tuesday, April 9th, 180+ members of the Washington, DC startup community gathered at the Woolly Mammoth Theatre Company to watch ten innovative impact-driven ventures pitch their game-changing business ventures at our Impact Accelerator Demo Day. The ventures were competing to win over $20,000 in prizes from sponsors including Booz Allen Hamilton, Davis Wright Tremaine LLP, and SEED SPOT. The event was sponsored by Booz Allen Hamilton as the Title Sponsor and WeWork as VIP Reception Sponsor and Program Host. Capital Impact Partners and Salesforce also joined as additional Demo Day sponsors. 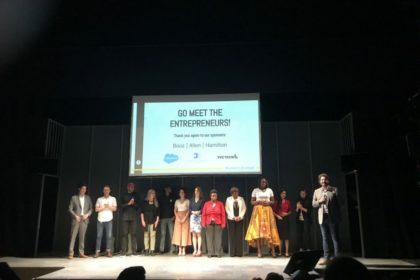 This was the culminating event for our Spring 2019 Impact Accelerator, which kicked off eight weeks of intensive programming back in February. C’pher Gresham, Chief Strategy and Operations Officer, kicked off the event by reminiscing about SEED SPOT’s impact, stemming from our first Demo Day seven years ago. As of our most recent Impact Report, the SEED SPOT team has served 557 adult alumni who have created 1,500 jobs and raised over $30.5 million. Opening remarks were also made by: Susan Penfield, Chief Innovation Officer at Booz Allen Hamilton and SEED SPOT Board Chair; Kelly O’Malley and S. Lovey Parker, the Impact Accelerator Program Lead and Program Associate responsible for leading the Impact Accelerator; and Traug Keller, Director of WeWork Mid-Atlantic. Haven, a venture working to bring in-network medical, dental, and vision insurance coverage to one easy-to-use platform, won both the $10,000 Audience Impact Award and $7,500 Most Promising Social Innovation Award from Booz Allen Hamilton. herDomain, on a mission to mobilize female tech talent in the developing world through training and remote work opportunities, won the $2,500 #GrowTheGood Award from Booz Allen Hamilton. Amäzi Foods, a venture ethically sourcing vegan and paleo snacks to promote job creation in Uganda farming communities, rounded out the winners with the Fundraise Readiness Award from Project W by Davis Wright Tremaine LLP. Keith Washington, mentor for Elder Nourish, was recognized with the Mentorship Excellence Award. Founded by Kimberly Lipinski, Elder Nourish provides elderly adults with visiting chefs who prepare customized menus that meet their individual nutritional requirements. Co-founded by Kyle Miller, Goodfynd makes food more accessible by connecting users to food trucks in their area while integrating small food businesses within the community. Founded by Shememe Williams, My Active Senior is an online senior-friendly tool that connects seniors and their family members with local senior service providers and products. 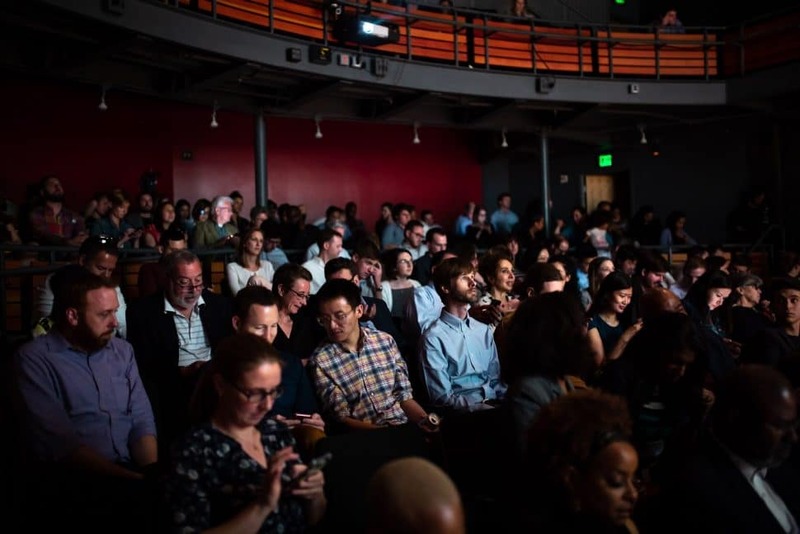 Co-founded by Emmett Ferra, PAKKE is an events and experiences platform that boosts members of the creative economy by connecting them with audiences searching for experiential moments. Founded by Michele Heyward, PositiveHire’s mission is to provide women of color STEM professionals equal access to management roles to retain them in STEM industries. Co-founded by Andrea Gilliam, Unwanted empowers every member of an organization, from entry level to C-suite, to be a change agent by providing a confidential platform to safely and effectively address unwanted behavior and reduce harassment in their company. Founded by Deborah Owens, WealthyU is closing the investment confidence and wealth gap for women of color by providing access to curriculum, coaching, and community that teaches wealth building. 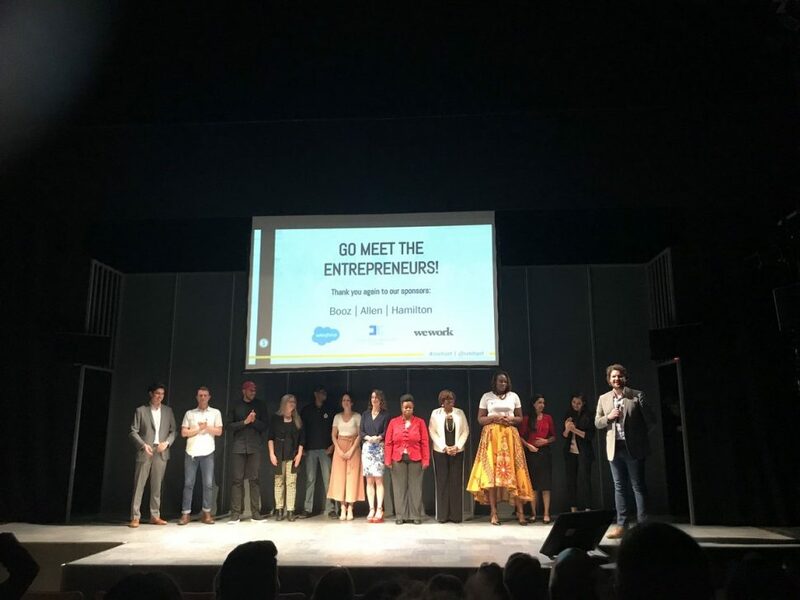 After over $20,000 in prizes were awarded to the entrepreneurs, the night finished up with mingling, networking, and celebrating the end of yet another SEED SPOT Impact Accelerator. Big thank you to each and every generous sponsor who made the Impact Accelerator and Demo Day possible – we couldn’t have done it without the support of partners who believe in the power of entrepreneurship to make the world a better place. Want to get involved with SEED SPOT? The post 10 Impact-Driven Entrepreneurs Pitch for $20,000+ in Cash Prizes appeared first on SEED SPOT.